Discuss options for distribution. There are many: Meeting people in the street. Visiting shops and businesses. Sponsoring books for giving to friends, relatives and work colleagues, and for distribution to prisons, hospitals, and hotels. Come out and staff a book table. Get books! Available from the temple book room at BBT prices. We will give you a score sheet. When you have distributed 50 books and filled up the score sheet, return it to the Temple. If you would like to do more, ask for another sheet and more books. The Temple will have a “‘wall of appreciation” for every 50 for 50 participant. 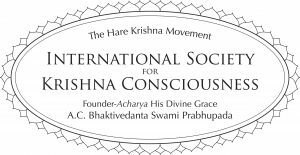 The Temple will also give you a certificate of appreciation signed by the Chairman of the Governing Body of ISKCON and our Temple President, Mukhya devi dasi.